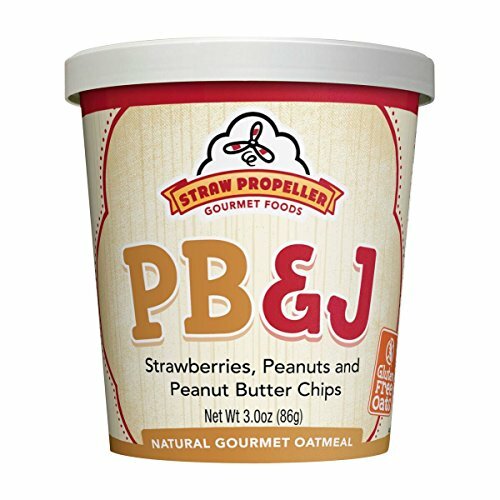 Straw Propeller Gourmet Foods is taking oatmeal and muesli to new heights. Straw Propeller was started by an active family that needed healthy and convenient eating options for any adventure they faced. Our on-the-go cups make it easy for you to take a healthy meal with you anywhere life leads you. Clean eating has never been more enjoyable than with our innovative flavors that will propel you through your day. Find your favorite flavor and you'll know why we say. We're spreading happiness one cup at a time. Great for your CAMPING, FISHING, HIKING, etc Fun Days - READY TO EAT IN A CUP MEAL. If you have any questions about this product by Straw Propeller Gourmet Foods, contact us by completing and submitting the form below. If you are looking for a specif part number, please include it with your message. One Degree Organic Foods Sprouted Brown Rice Cacao Crisp, 10 Ounce - 6 per case.